For your body to be at its best, you need to be making sure that you’re getting enough of all the essential vitamins and minerals. You’ll already know that, and that you need to be getting your five a day. In practice this can be difficult to manage, especially if you’re living a hectic lifestyle. That’s why you need to know the foods that aren’t just good for you; they’re great for you. Not all healthy foods are created equal. And forget the pills: while you can get your full dose of vits and mins in tablet form, it’s much more fun to get healthy by digging your fork into your food and eating well! Below, we take a look at some of the simple foods you’ll want to incorporate into your diet to make sure you’re getting everything you need, even if you’re always on the move. If you’re looking for something to snack on when you’re in the office, make it nuts. They’re jam packed with minerals - so much so, that in terms of size, it’s about as many minerals packed into a bite size as you’ll find in any foods. 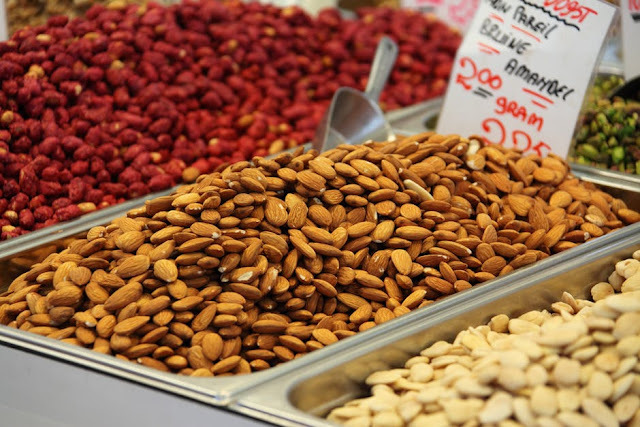 There are many different types of nuts, serving a range of different purposes. Snack on some almonds and you’ll be filling your insides with vitamin E, magnesium, and folate, among others. Opt for some pine nuts, and you’ll be getting a top up of phosphorous, which will help keep your bones and teeth healthy. Eat a serving of peanuts, and you’ll get your manganese and vitamin B! How are your B vitamin levels? If you’re looking for an excuse to have a steak on your lunch break, then this might be it. Red meat is filled to the brim with a host of B vitamins; they have B1, B2, B3, B16, and B12. Who’d have thought that chowing down a delicious steak could be so beneficial to your blood, nervous system, and brain power? That’s not all, either. Through red meats, you’ll be getting your fill of iron, zinc, and magnesium. Iron is of particular importance, as this is considered to be the world’s most widespread nutrient deficiency. If you’re looking for a snack to break up all those nuts you’re eating, then look no further than seeds. Head down to your supermarket and pick up packs of sunflower, pumpkin, and sesame seeds and store them in your kitchen; you’ll have handy access to a whole host of nutrients! There’s a long list of good things packed inside seeds, including A, B, C, E vitamins along with calcium, potassium, iron, and a bunch of other minerals. And there’s good news: as more and more people have become aware of the health benefits of seeds, the selection of tasty offerings has grown considerably over the past few years. Some people forego dessert, thinking it’ll only be unhealthy. In actual fact, you can have an after dinner dessert, if it consists of berries! Specifically, blackberries, strawberries, and blueberries. This shouldn’t be too much of a chore, as all three of these are delicious! You can even buy them frozen, as they keep their good things if they’ve been picked and frozen quick enough (which they usually are). Eat a bowl of these three berries, and you’ll be getting your daily dose of vitamin C, fiber, and potassium. If you’re a vegetarian or vegan, then you might be pretty tired of being sold the idea that you just can’t get what you need without meat. To that, you should show your carnivore friends the humble bean! By adding beans to your meals, you’ll be getting your fill of protein, fiber, and a whole host of vitamins and minerals. Add a meal that contains a hearty serving of pinto beans, and you’ll be loading up on iron, magnesium, and vitamin B6. Switch out pasta for lentils, and you’ll be adding plenty of protein, iron, zinc, and much more. In short: beans are amazing, so fill your cupboards with them! Of all the items that you can buy in the supermarket, few are as underrated as the sweet potato. For starters, they’re delicious - much more interesting than just a regular potato! They also deliver a broad range of vitamins and minerals. You’ll get vitamin C, copper, pantothenic acid, and much more - especially vitamin A; eat a sweet potato, and you’ll get more than 200% your daily recommended allowance of this vitamin! Do you still consider a salad a side dish? Then it’s time to reconsider how you think about this delicious meal (yeah, we said it: meal!). Not only will a well-made salad taste delicious, but you'll also be able to get every vitamin and mineral that you need (depending on what you put in it, of course). Some ingredients can look and taste similar, but have different nutritional values; romaine hearts, for instance, give about four times as much vitamin K as iceberg lettuce. For a delicious, healthy salad, opt for romaine lettuce with avocado and walnuts, salt and pepper and a seasoning for taste. We talked about red meats before, but as well as your “main course,” it’s important to consider about what you’re eating on the side of that delicious dish. 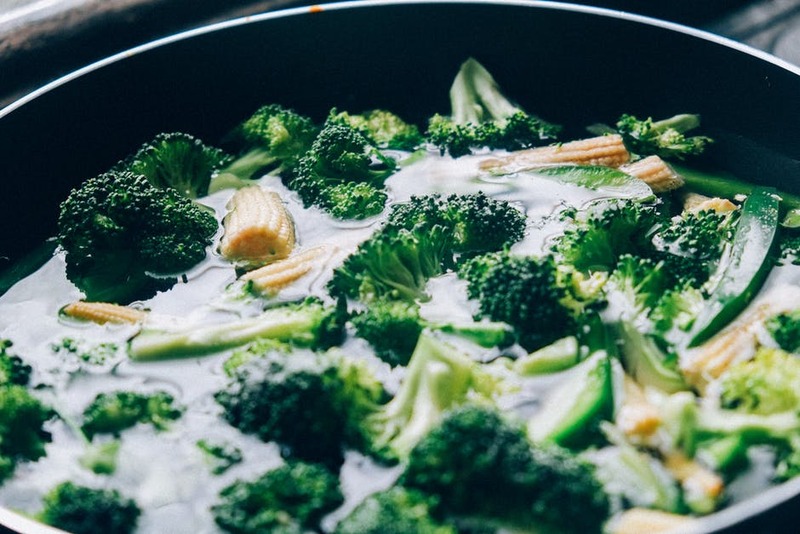 Skip the mashed potato and instead choose vegetables such as broccoli, cauliflower, or sprouts. In one cup of cauliflower, you’ll get near enough your daily dose of vitamin C! And that’s on top of the vitamins K, B, and folate! Choose broccoli instead, and you’ll receive more than your daily recommended allowance of vitamins C and K; sprouts will give 200% of your daily vitamin K. Even if you didn’t enjoy the taste as a child, it’s time to give them another go! Looking for a simple meal? Then you could do worse than preparing a meal that’s based on asparagus or spinach. Asparagus is super tasty and gives you your daily allowance of vitamin K, two-thirds of your folate, and a third of your copper, as well as many other vitamins and minerals. It’s simple to have a delicious asparagus meal, too: just saute them in pesto and add a few tomatoes, simple! Add seasoned, sauteed spinach, and you’ll get even more of the good stuff. 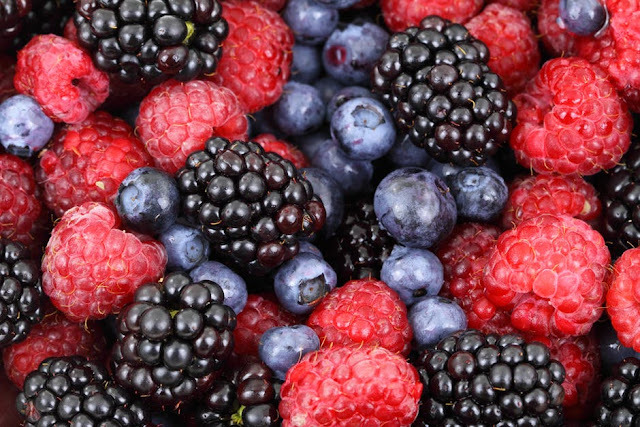 You’re a healthy eater, so you’ll already have heard of ‘superfoods,' a buzzword that’s connected to newly discovered (by the public) foods that have amazing nutritional qualities. The term sounds a bit cliche, but it exists for a reason: there really are superfoods! A lot of the foods have already been mentioned above, but lesser known ones that you might not have heard of include hemp seeds, wild rice, flax, quinoa, and tahini. All of these should be staples in your kitchen, as they require minimal preparation. Finally, let’s think about fish. It’s hard to get around the idea that fish is just what humans are supposed to eat; it’s so good for us! It’s a delicious source of many of the essential vitamins and minerals, including vitamins A, B, and D. You’ll also get your fill of potassium, zinc, iron, and iodine, among others. Opt for oily fish when you can. A simple breakfast of sardines will do wonders for your insides; it has more than 350% of your vitamin B12, and high percentages of selenium, phosphorous, and Omega-3 fats. The original superfood! It’s not easy to think about getting all your vitamins and minerals each day, but as we’ve shown above, there are many common - not to mention delicious - foods that’ll give you your fill with minimal preparation required.